STATS DAD: Youth Baseball: Metal or Molded Plastic Cleats What to do? Youth Baseball: Metal or Molded Plastic Cleats What to do? My son is starting his U13 baseball this year. U13 is the first year that the AABC league allows metal cleats. I know that metal cleats offer much better traction on both hard and soft dirt fields and on the grass outfields and infields, but is it worth the potential risks? My son wants to get metal cleats and I suppose that I will allow him to do so. I have expressed my concerns and I have shared with him the risks. Like most decisions, I will allow him to make his own educated decisions. Injury Risk Number One - Cleating yourself - and perhaps one of the most annoying things that I remember from wearing metal baseball cleats when I was young - cleating yourself. I remember the pain of the metal cleat hitting my own ankle. This is more of an annoyance than anything. Injury Risk Number Two - Getting Cleated by your opponent - One of the most common "metal cleat injuries" occurs when a base runner slides into a base and spikes the fielder. As the runner slides the cleats are exposed toward the fielder's glove, leg or foot. Of course a runner sliding head first can get his hand stepped on by a fielder with metal cleats. Injury Risk Number Three - Too much traction - Players prefer metal cleats because they provide superior traction, however too much traction at the wrong time can result in a serious knee or ankle injury. In the game of baseball quick changes of direction happen all the time. (Example One) Aggressive players always look to turn a single into a double by hustling down to first and taking an aggressive turn after a hit to the outfield. If the outfielder bobbles the ball they are ready to take advantage, but if the player fields the ball clean and comes up throwing, the runner quickly reverses direction. 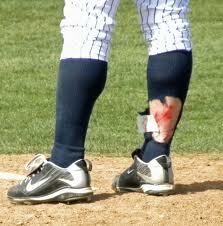 If the runner's metal cleats dig in deep as the player is turning, a player can damage knee or ankle ligaments. This is exactly how I blow out my ACL playing men's fast-pitch softball. And I was wearing plastic molded cleats. Is the extra traction worth it? I am not sure that it is for 13 year old baseball players. What do you think? We are thinking about getting my son the New Balance baseball cleats which come in wide sizes and are suppose to be one of the most comfortable baseball cleats on the market. My son ended up buying the Nike Swingman metal baseball cleats. 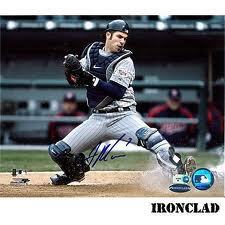 He also bought the Ignite II Under Armour baseball turf shoes. My son started 13U this fall so about 1/2 way thru his last LL season he started talking about getting metal. It is somewhat of a rite of passage. They love the click of the spikes. I would not worry so much about the potential of injuries for the 13U game is a much slower game than the LL size field. Your son would not want to be caught dead in molded spikes at age 14 so he might as well learn how to move in them while the game slows for a year or so. Get insoles for comfort. 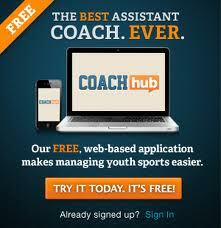 Youth Basketball: Blowout Games What to do?